Expanded access With RO5185426 in Patients With Metastatic Melanoma. 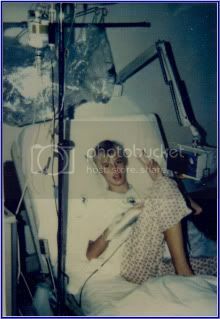 The drug is called RO5185426, which is interchangeable with PLX4032 and RG7204. Also, you must be Braf positive and failed a prior therapy. 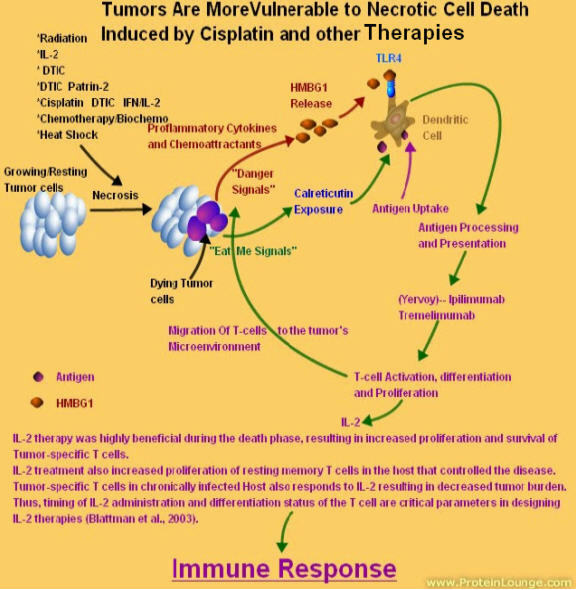 This Cytokine Therapy may be helpful prior to Anti-CTLA-4 Blockade (Ipilimumab)or after. It may help send the Danger signal to involke the immune response. LEXINGTON, Mass., Jan. 24, 2011 (GLOBE NEWSWIRE) -- Agenus Inc. (Nasdaq:AGEN) today announced it has entered into a research agreement with Memorial Sloan-Kettering Cancer Center (MSKCC) using Agenus' proprietary cancer vaccine technology. The collaboration will test Agenus' cancer vaccine in combination with antibodies that are intended to target specific markers on tumor cells, such as CTLA-4 and PDL-1. 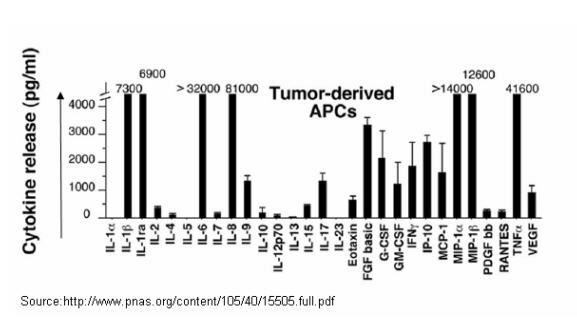 This group of antibodies represents a new class of immunotherapeutic agents that are thought to have complementary mechanisms of action with cancer vaccines. The studies will be performed in the laboratory of Jedd D. Wolchok, M.D., Ph.D., a leader in the field of cancer immunotherapy. Dr. Wolchok serves as the Associate Director of the Ludwig Center for Cancer Immunotherapy at MSKCC as well as Director of Immunotherapy Clinical Trials. "Collaborating with MSKCC and Dr. Wolchok's laboratory opens a new chapter in the development of our personalized cancer vaccine portfolio for targeting later stages of this disease," said Garo Armen, Ph.D., CEO of Agenus. "Partnerships with leading institutions are central to Agenus' strategy to bringing life-changing products for cancer patients to market faster." 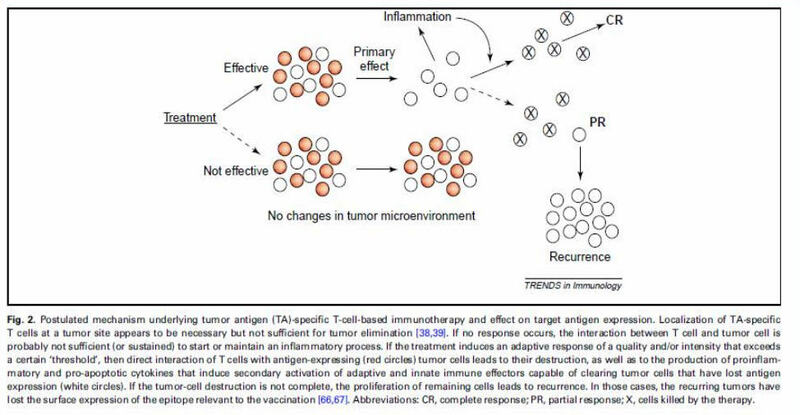 Agenus' cancer vaccine is designed to expand and specifically program the army of T-cells responsible for killing tumor cells; however, as cancer grows it becomes smarter and increasingly builds an 'immune fortress' that can protect itself from the attack of T-cells. Therefore, combining a product that activates T-cells with an agent that blocks the signal preventing the T-cells from effectively killing the tumor could have highly potent outcomes. "Combination immunotherapy in cancer is increasingly becoming a key focus of research, and this collaboration will add to this important and growing knowledge base," said Dr. Wolchok. "Our interest in Agenus' cancer vaccine is that it contains many antigens that are genetically matched with the cancer as the product is derived from the tumor itself." "In addition to this preclinical research effort, we are looking forward to opportunities to rapidly initiate clinical trials, combining our Prophage series of cancer vaccines with either marketed or investigational agents that work against T-cell down regulation," said Dr. Armen. Combinatorial therapy will lead us toward a cure. Mark my words. The immune system has evolved to respond not only to pathogens, but also to signals released from dying cells. These signals are generated by molecules call Alarmins. In response to infection and/or tissue injury, cells of the host innate immune system rapidly produce a variety of structurally distinct mediators that not only function as potent effectors of innate defense but also act to alarm the immune system by promoting the recruitment and activation of host leukocytes through interaction with distinct receptors. One of these Alarmins is the High mobility group box 1 (HMGB1). (HMGB1) is a DNA-binding nuclear protein, released actively following cytokine stimulation as well as passively during cell death; it is the prototypic damage-associated molecular pattern (DAMP) molecule and has been implicated in several inflammatory disorders, but our case, it is the molecule that sends the red flag up to the immune system, stating there is a problem. This Alarmin (HMGB1) is capable of activating antigen-presenting cells (APCs) and enhancing the development of antigen-specific immune responses. The interaction of high mobility group box 1 protein (HMGB1) released from dying tumor cells with Toll-like receptor 4 (TLR) on dendritic cell was required for the crosspresentation of tumor antigens and the promotion of tumor specific cytotoxic T-cell responses. Under stress conditions, such as injury or infection, HMGB1 is released and promotes inflammation. (Danger Signal) HMGB1 is passively released by Death of cells or tissues through injury or disease (necrotic) but not apoptotic death. Disintegration of cells into membrane-bound particles that are then eliminated by phagocytosis or by shedding of normal cells and actively secreted by a variety of activated immune and non-immune cells. Through the TLR4, HMGB1 activates NFκB inducing a wide range of host changes that include activation of the innate immune system (neutrophils, NK cells, dendritic cells) and secretion of proinflammatory cytokines and mediators. There is growing evidence that the relationship between the inflammatory process and cancer is complex. Our understanding of this relationship as it relates to Danger Signal development and or progression of malignancy is still limited. Further evaluation in patients is clearly needed if we are to truly understand whether there is therapeutic potential in targeting Pro-inflammation, “The Danger Signal”. HMGB1 as a DAMP released into the tumor microenvironment plays a central role in the recruitment and activation of innate immune cells. This emergent understanding of the danger signals also called alarmins or damage associated molecular patterns (DAMPs) is fueling new research that may be beneficial to finding a cure. This ability of dendritic cells to recreate the environment associated with necrosis via the regulated secretion of HMGB1 represents a successful evolutionary strategy and places HMGB1 at the crossroads between innate and adaptive immunity. Once T-cells are activated, RAGE and HMGB1 are upregulated during cellular activation, consistent with a role of the RAGE axis in pro-inflammatory immune responses. So how do we cause tumor cells to die? We don’t need to kill them all at once, that would be nice, and we need to a portion so that HMGB1 is secreted. 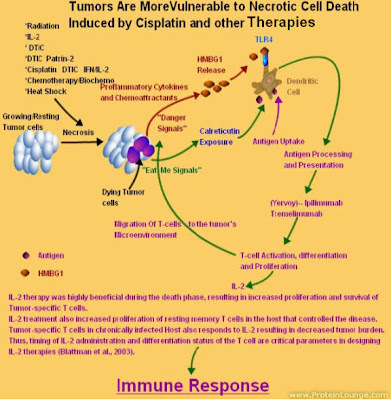 Or do we inject a mixture of naturally occurring Cytokines that act as the pro-inflammatory cytokines, (the Danger Signal)? A little known company is just doing that. The company is IRX Therapeutics. Dr. John W Hadden founded the company in 1994 and holds the patent on the cytokine mixture called IRX-2. The cytokine components of IRX-2 (includes IL-1, IL-2, IL-6, IL-8, IFN-γ, TNF-α, G-CSF and GM-CSF) are known to promote both T lymphocyte and dendritic cell development and function and monocyte function. I believe the natural cytokine mixture (NCM). The NCM includes 1L1, IL2, IL6, IL8, IL10, IL12, .delta.IFN, TNF.alpha. and G- and GM-CSF could play a pivotal role in activation of the T-cells (CD4+ and CD8+). This mixture that is in the patent (20030206885) is what I would call the Proinflammatory Cytokines, the “Danger Signal”. The natural cytokine mixture is missing MCP-1, MIP-1 alpha and beta which is very important to attract immune cells to the tumor’s microenvironment. CCL4/MIP-1 beta is expressed primarily by T cells, B cells, and monocytes after antigen or mitogen stimulation. The functional receptor for MIP-1 beta has been identified as CCR5. is a 7.8 kDa β chemokine that is secreted at sites of inflammation by activated leukocytes, lymphocytes, vascular endothelial cells. CCL4 attracts a variety of immune cells to sites of microbial infection as well as to other pathologic inflammation. Monocyte chemoattractant protein-1 (MCP-1) is important in attracting monocytes to sites of inflammation. Besides induction of monocyte recruitment, MCP-1 can also affect chemotactic response of endothelial cells. I speculate by combining Radiation, Chemotherapy, Ipilimumab, IRX-2, and IL-2 in a systematic way, we can induce an immune response against Melanoma and win most of the Battles. Let the war games begin. Who will take on this challenge and be the first to CURE Melanoma? We shall see. From a paper of Dr. Meenhard Herlyn. 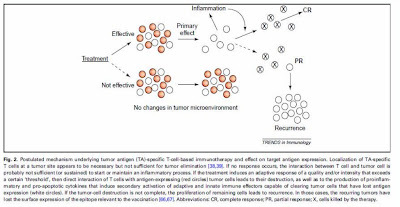 Inflammation is the key to the Danger Signal which can be produced by dying Tumor cells or Ipilimumab differentiating T-cells into Th-17 Phenotype or by injecting a pro-flammatory cytokine mixture. 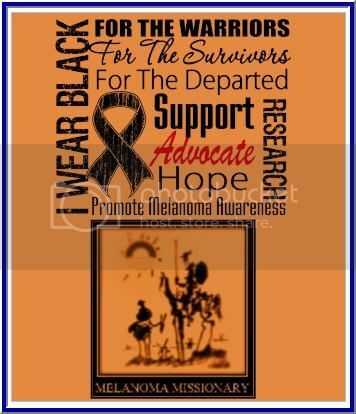 Let the War on Melanoma Begin!!!!! BMS denies any wrong doing, but this was not it's first offence and may not be it's last. As the patent waterfall nears close with Plavix, is BMS trying to make up for it's loss of revenue? I am anticipating that BMS will try to inflat the cost of production of Ipilimumab (Yervoy) and try to pass it along to the patients that desperately need it. It is a shame that the drug companies have come down to greed and screw the consumer. 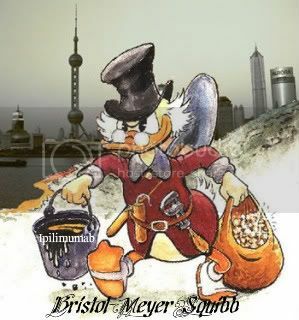 BMS needs desperately to clean house again and go through some Ethics training, Big time!!! I am all for paying a fair price, but not to get gouged to the point that the insurance won't pay and pass the copay onto the patients. It is not right. "What sets us apart? We believe it's our commitment to patients with serious diseases, our focus on finding innovative medicines that combat those diseases, and our dedication to extending and enhancing human life." So we can deplete your life savings for the good of the company and line our pockets!!!! Acting Associate Commissioner for Special Medical Programs.